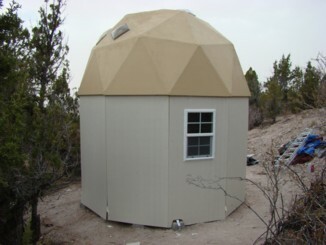 Small round dome cabin built with EconOdome frame kit. 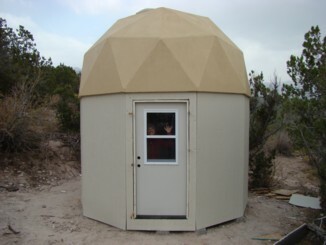 Return or go to www.econodome.com for more info on kitdomes. Are Designed to be Low Cost and a Joy to Live In. energy efficient, and safe in storms of all kinds. 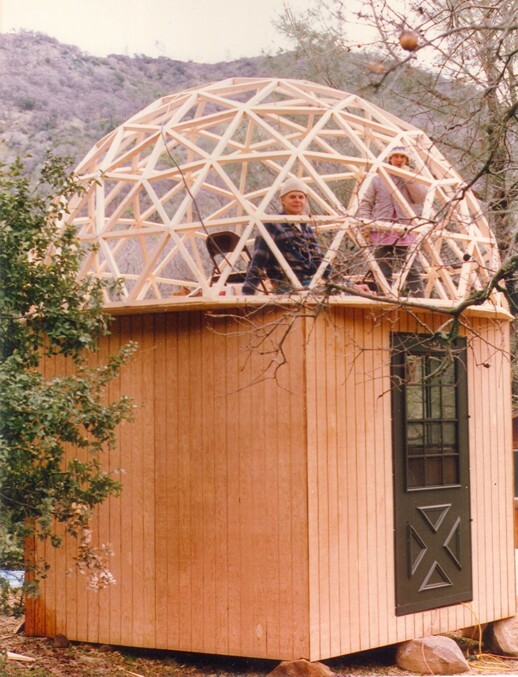 Little Domes can also be made very fire safe, if you wish. instead of blowing the building over or catching it on fire. 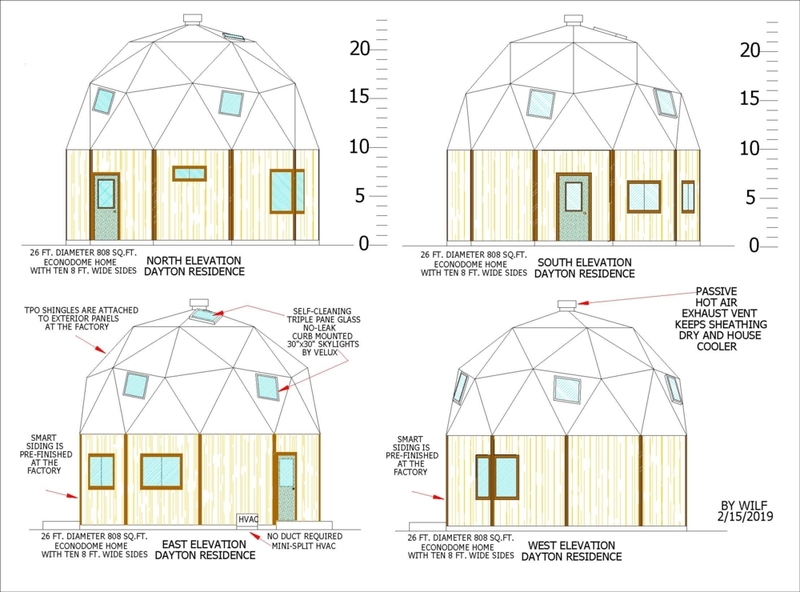 Little Dome designs can be revised to be exactly as you wish, if you wish. This website was last updated on Friday, February 15th, 2019. All quoted prices below are valid until December 31st, 2019. 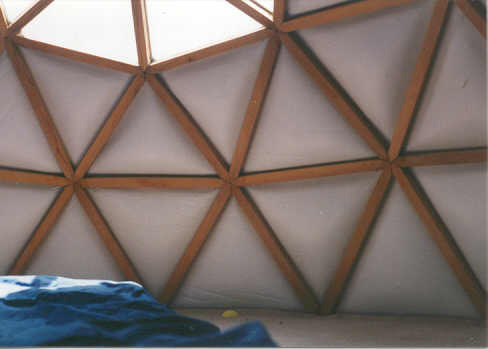 (fyi: Larger EconOdome Kits are made with a 4V (four frequency geodesic geometry). A hemispherical 4V EconOdome kit has 10 vertical trapezoids and 130 triangles. The 26’ 2V EconOdome allows for larger skylights than a 4V dome because the triangles are larger. The 26 ft. dia. 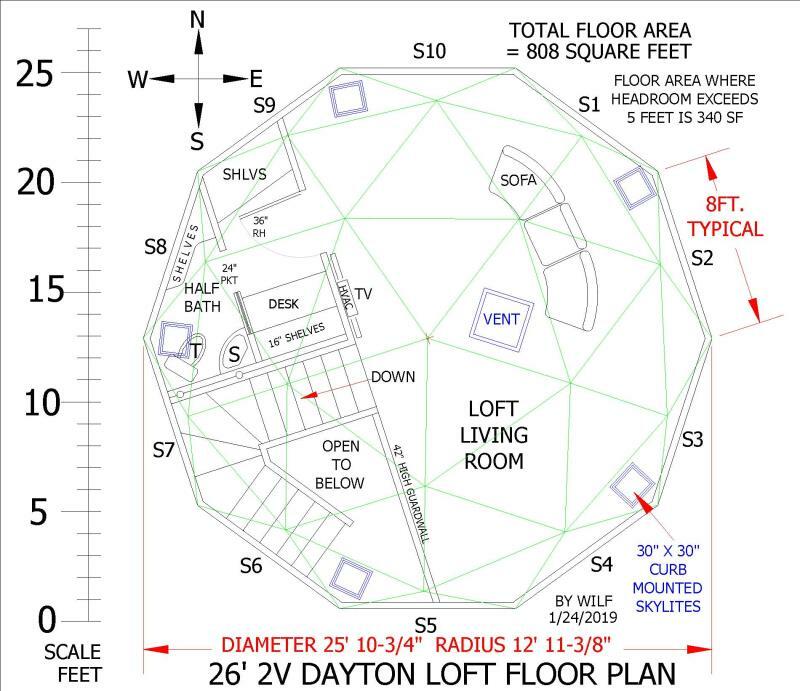 2V dome has 40 framed triangles made with 65 precision cut struts. The longest strut length and triangle edge length is 8 feet. The 8 ft. length works well with both conventional lumber lengths and 4’x8’ sheet sizes. There is framing within each large triangular frame to better support the covering panels. And, also to allow the large panels to be divided into smaller and easier to handle panels. 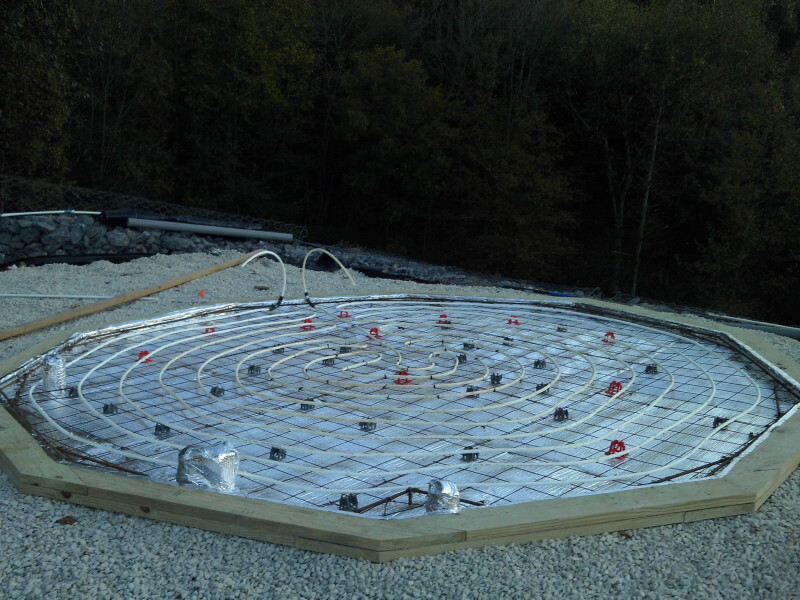 We recommend you consider building with an EconOdome T-Beam frame kit. The T-Beams hold both the interior and exterior panels in place with the help of "the force" of gravity. The 26' 2V all 2x4 T-Beam frame kit costs $3,900. The R-23 venting exterior triangle panels with TPO shingles for the 26' 2V EconOdome cost $7,000. The R-20 interior triangle panels with mosture resistant gypsum sheeting for the 26' 2V cost 3,000. PRE-CUT 8' high 2x6 lower PERIMETER walls for the 26' 2V EconOdome cost $2,000. Total cost for the 26’ T-Beam kits (frame and R-43 TRI-PANELS panels) IS $15,900. The remainder of the construction materials will need to be purchased locally. 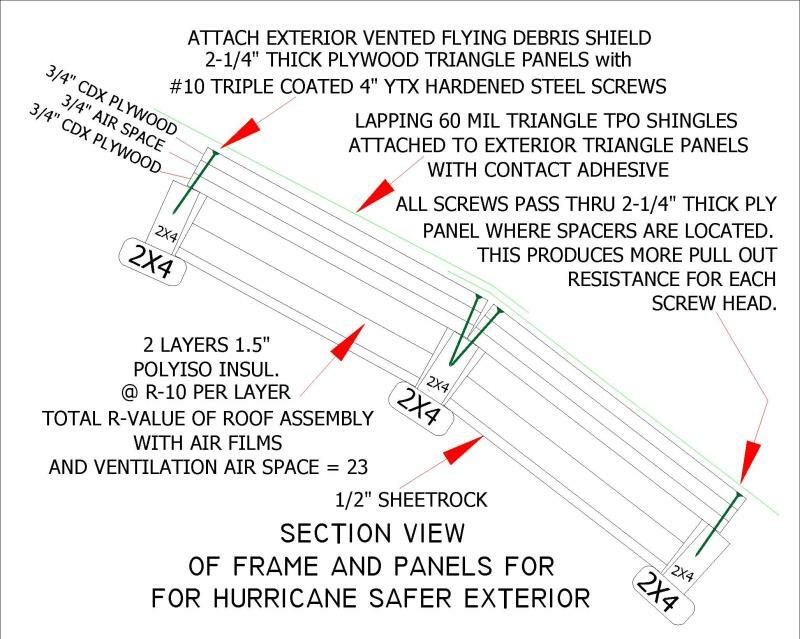 WE RECOMMEND THE USE OF ECONODOME HURRICANE PANELS. PROVIDE A SUBSTANTIAL FLYING DEBRIS SHIELD DURING HURRICANE FORCE WINDS. FOR TROPICAL CLIMATES COST $5,000. 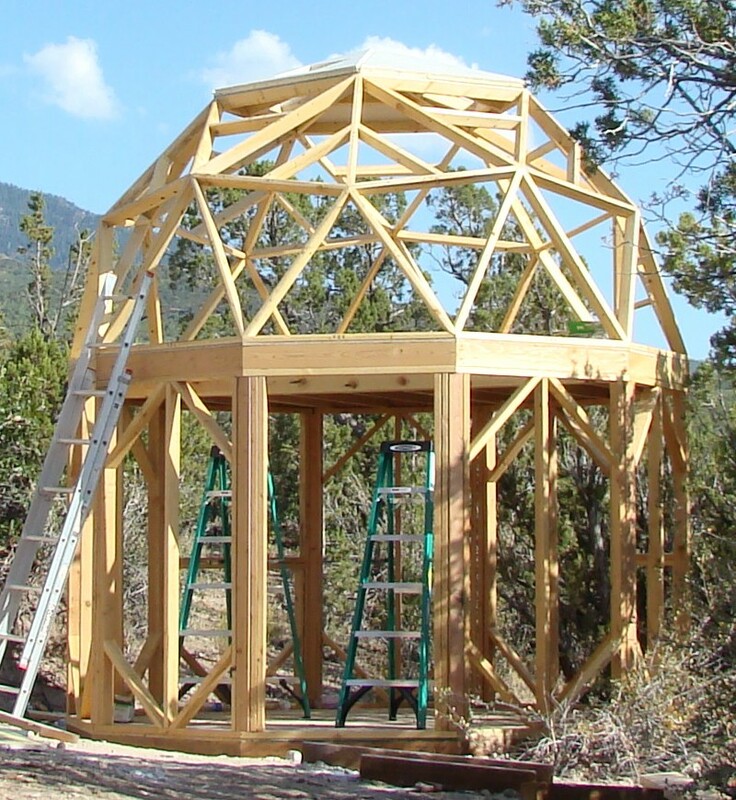 you could consider building with a MORE ECONOMICAL Basic 26' 2V EconOdome frame kit. The Basic 26'dia. 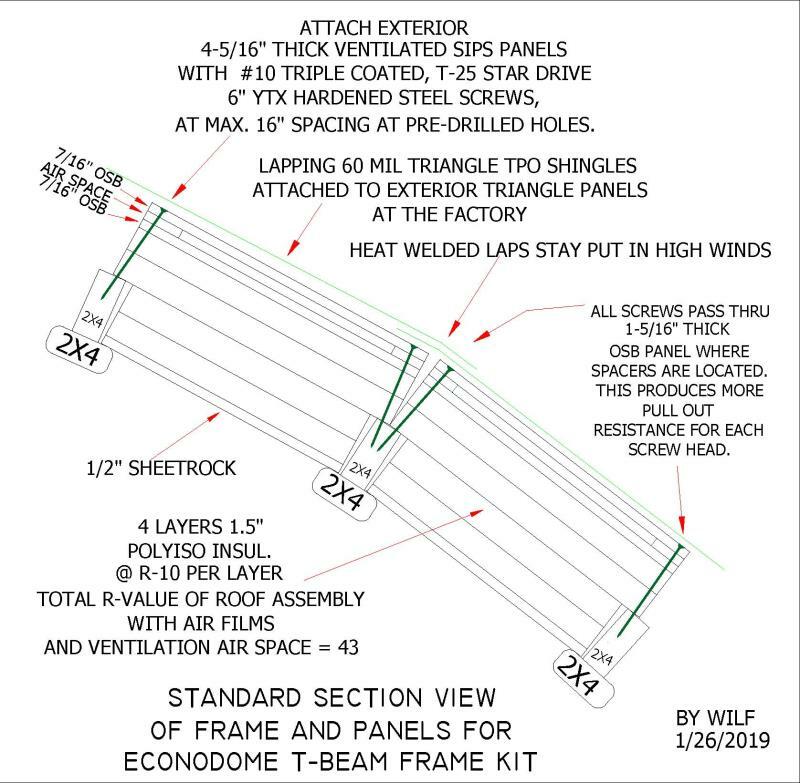 2V 2x4 EconOdome frame kit costs $2,600. A more heavy duty Basic 26'dia. 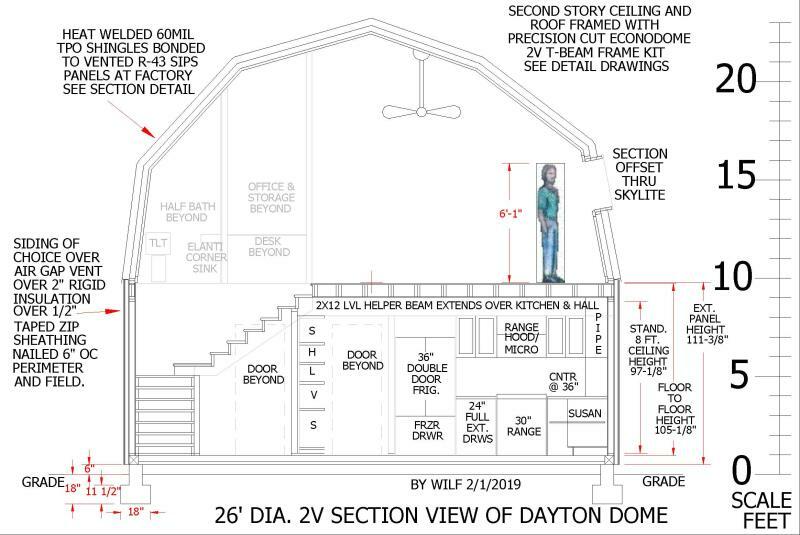 2V 2x6 EconOdome frame kit costs $3,250. A maximum of fifteen 30”x30” skylight frames and all necessary connectors are included. R-23 venting exterior panels with TPO shingles attached cost $7,000. plus bracing and CUSTOM FRAMED OPENINGS.......COST $2,000. Total cost of Basic 26’ FRAME KITS and EXTERIOR PANEL KIT is $11,600. The remainder of the necessary materials will need to be purchased near your job site. 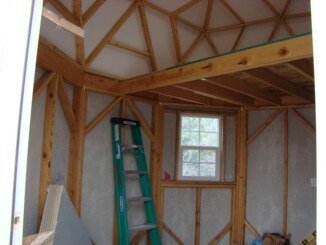 With a Basic EconOdome frame kit, you will need to insulate and sheetrock the dome ceiling. 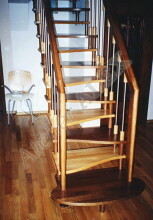 Custom compact stairs cost such as those shown below are also available. The cost will depend upon the design. This five sided cabin has an interior loft. The floor is built above treated telephone poles. Each of the five sides is 8 foot by 8 foot. this building needed to be portable (not built on a permanent foundation). So, it was built above pre-cast piers and boulders. After completion this building was put on skids so it could be moved. unique AirBnB rental near the coast in California. they built an 80% scale model in their San Francisco office. Click on pic to see more pics and to make a reservation. you will feel like you are in an unique tree house. Located in a quiet yet convenient woodsy location. San Francisco Bay area residents and traveling future domies. 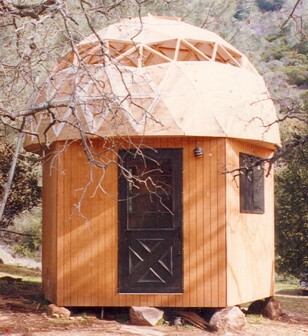 This little 13' diameter dome cabin has five sides that are each 8' x 8'. There is a 4'x8' bathroom addition on one side. 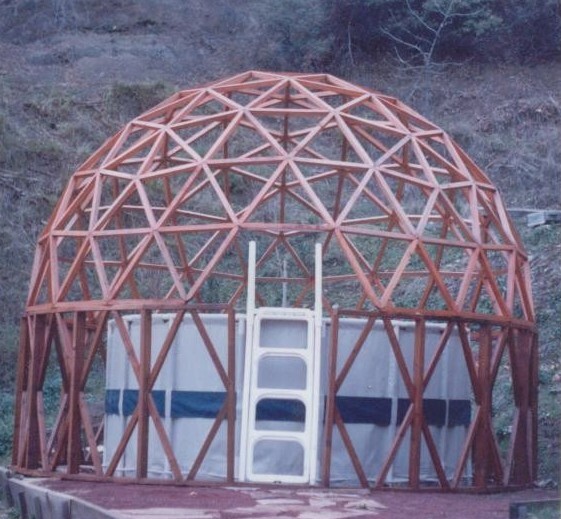 Cost of a Basic 2x4 13' diameter 4V EconOdome frame kit is $4,000USD + shipping. creates a pillow effect on the finished interior. 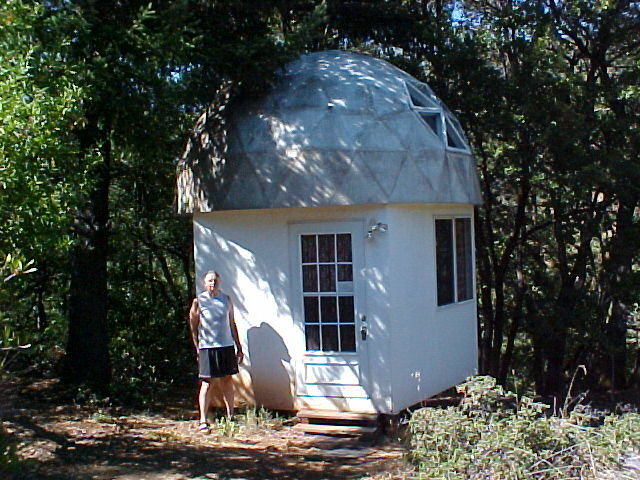 This 14 foot diameter dome may be used as a hot tub cover. or overgrown with grape vines. having 40 triangles and resting on a gravel base. formed with sixty-five 2x4 struts,including plans is $1,300. plus framing for five 24"x14" venting skylights. Connectors for the precision cut dome roof frame are included. to cover the 40 triangles is $1,500. may be purchased as a kit costing $750. the loft floor may be purchased as a kit costing $750. may be purchased as a kit costing $1,000. 10 Pre-cut sheets of T-111 siding to cover the exterior walls costs $500. and two 34"x48" dual pane lowE single hung windows is $1,000. 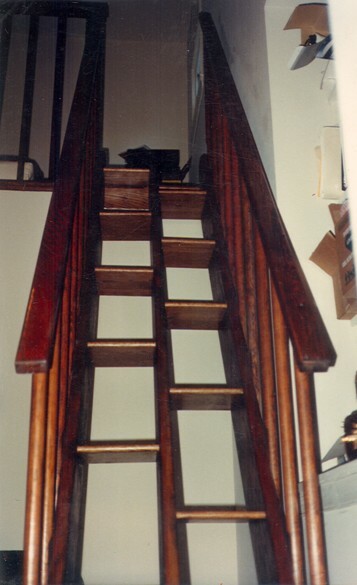 Cost of one precision crafted from 2x8 compact staircase with offset steps is $800. 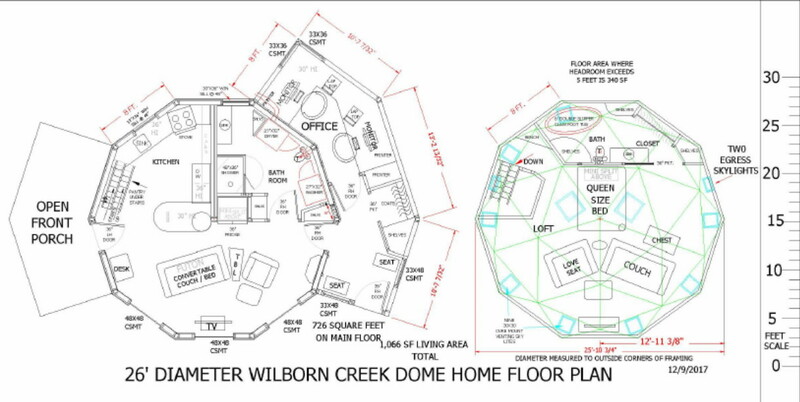 Total cost of "complete" pre-cut 13' diameter EconOdome kit including all the above is $7,600. please contact our office by phone or email to receive a partially filled out EconOdome Kits order form. 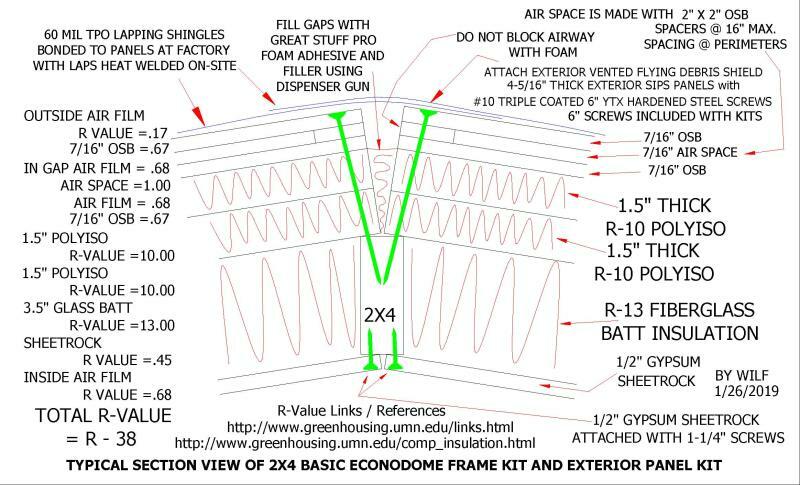 above listed costs for the 2x4 Basic 2V EconOdome frame kits. 2V EconOdome frame kits make a dome with 40 triangles. 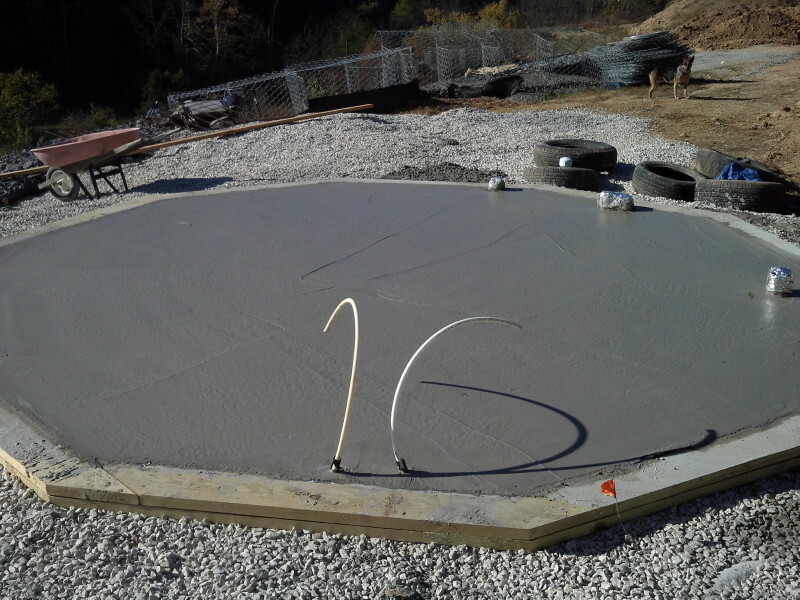 This is photo of a 16' diameter 2x8 lapping ten sided base. This base is set on a retained bed of gravel. The lapping base acts as permanent concrete forms for a radiantly heated floor. as an option FOR A 16' DIA. DOME is $400. Pre-Cut Foundation and Floor Forms Kits. 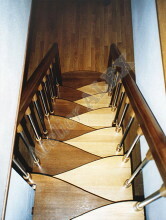 Below are some examples of custom compact stairs. The compact stairs shown below are easy to walk up and down without holding the handrails. However, narrow stairs with offset steps and two handrails are very helpful for people with disabilities. Faze Change Produx can also provide custom built-ins. Costs will depend upon the designs. Custom plans are a separate issue. 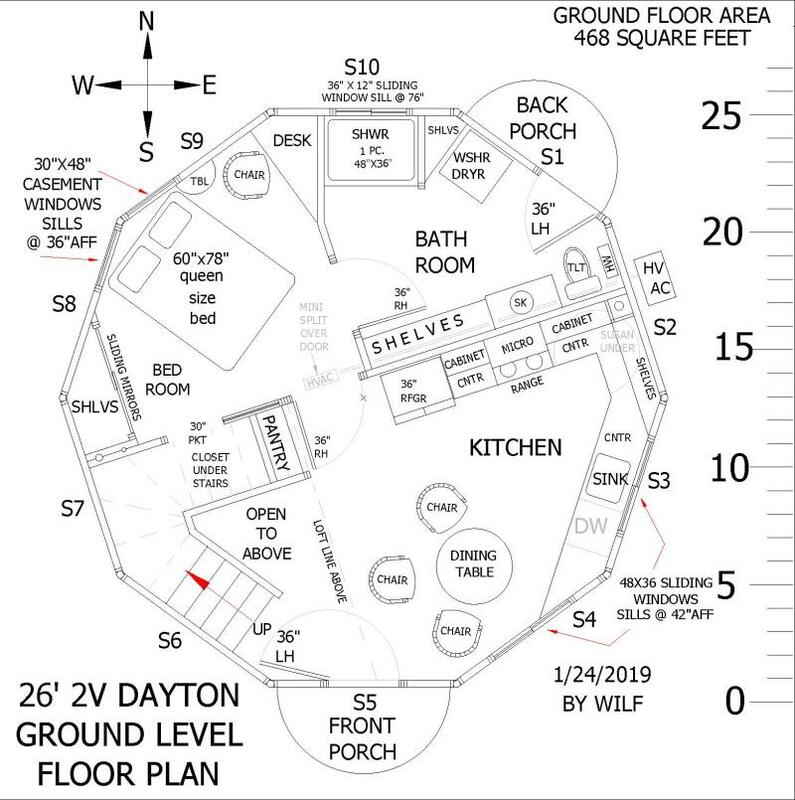 A custom floor plan cost $75. A complete custom plan set costs $1,800. A custom plans deposit will be $900. The balance on the plans will be $825. 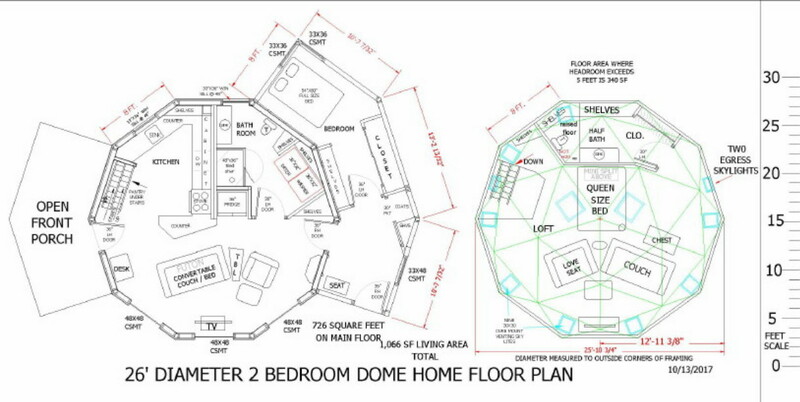 We do the custom floor plan first so that you can have everything as you wish. There are many design options. The deposit on all EconOdome frame and panel kits is 50%. The final payment will include the shipping costs. the costs will depend upon the design. Contact our office at 888-DOME-LUV for details and pricing for custom options.